Costco has recently expanded its house brand Kirkland Signature to include value bottlings of Gigondas, premier cru Chablis and Ribera del Duero Gran Reserva. "Will Millennials kill Costco?" wondered a Washington Post headline a few months back. It was hardly the first story to question how big-box retailers could adapt to a generation that is painted as allergic to the supermarket run and the mall day, preferring to shop online for any consumer good smaller than a Kia Sorento, from books to beer. Costco would presumably join the ranks of paper towels, diamonds and the institution of marriage to be felled by the pernicious generation. As if in response, Nasdaq published a Costco article of its own June 7: "Why Costco (COST) Stock Hit a New High on Thursday"; COST has further gained since then. In fact, among retailers, Costco is sui generis in many ways that appeal to the Millennial demographic. Last year, it was widely reported that Costco had surpassed Whole Foods as the country's top retailer of organic food products by value. Costco famously emphasizes fair wages, good health insurance for employees, corporate philanthropy and other practices we now file under the umbrella of "sustainability." Myriad studies have shown that Millennials open their wallets for companies and products they consider ethical. Costco, of course, has one more thing Millennials love: all the wine. 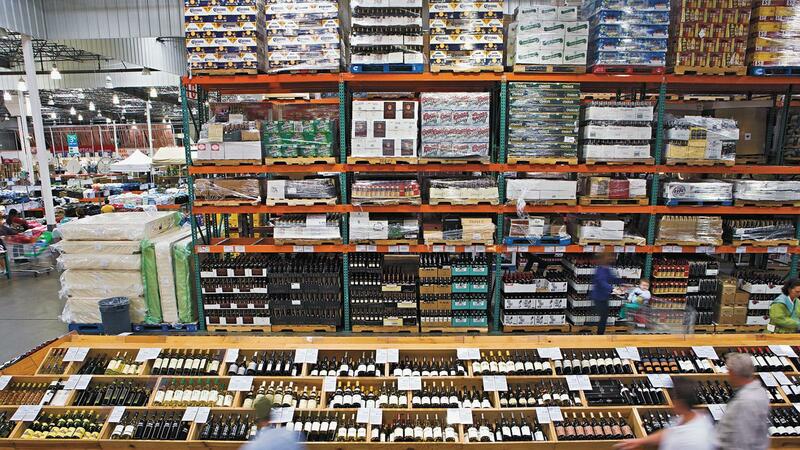 Costco is one of the biggest wine retailers on the planet. Among its competitors, Walmart debuted a house wine label in May—15 years after Costco did. Amazon, despite decades of trying to get into the beverage business, has precisely none of the wine. Head wine, beer and spirits buyer Annette Alvarez-Peters has led Costco's growth into a wine powerhouse; now the company eyes the next generation of customers. I last checked in with Costco's head wine, beer and spirits buyer Annette Alvarez-Peters three years ago. Online retail has matured considerably in that time, and Millennials are three years older, three years more likely to be shopping family-style and three years farther along in their wine lives. Had Costco wine evolved, and if so, how? Some of Costco's innovations are only just reaching the wine aisle. According to Alvarez-Peters, "We have not received a lot of requests to carry organic wines, but we continue to test different items." Costco also does not sell wine online—"at this time." But in October 2017, the retailer partnered with delivery app Instacart to sell other groceries online, and "with this initiative, we have seen more sign-ups with the Millennial demographic." Perhaps most intriguing were the moves Alvarez-Peters had recently made with the company's house wine brand, Kirkland Signature, "the wines we develop [to] help our members experience various wine regions." Was the drinker discovering cru Champagne and Châteauneuf-du-Pape in 2015 ready to go deeper with cru Chablis and Gigondas? Exactly so: Costco's latest Kirkland offerings pretty much cover the world of up-and-coming prestige regions and styles sought by the adventurous wine lover of medium-plus expertise in 2018—but at around half the typical asking price. Joining the Kirkland Châteauneuf is indeed a Gigondas, made by Guillaume Gonnet, the dynamic young Rhône vigneron whose family estate is Domaine Font de Michelle. The least-expensive Gigondas we reviewed in the past year clocked in at $26; the Gonnet/Kirkland wine is $15. Kirkland has also recently ventured into Chablis—it's a $15 bottle of bona fide premier cru Burgundy. There's now a Kirkland version of collector darling Brunello di Montalcino, at $25. And the Ribera del Duero Gran Reserva, a Tempranillo with more than five years of age on it, is $13. In addition to Gonnet, Costco has added a few other notable wine collaborators recently, Alvarez-Peters told me. Perhaps the most boldfaced name of the new partners, on a $14 super Tuscan, is Caiarossa, an estate that has lately ascended to the top tier of quality in its category. Other wineries are also putting their names and expertise behind Costco wines that slide into buzzy categories at single-digit prices. The Kirkland Bordeaux Supérieur is now made at Château Petit-Freylon, Alvarez-Peters told me; the 2015 sells for 8 bucks and earned 87 points. A Provence rosé has become a necessity, of course; Kirkland's is from Domaine de la Croix ($9; 86 points for the 2016). So as Costco and its wines continue to beat the curve, they'll be better than fine. We'll kill brunch yet, though. Read our earlier coverage on the innovations Costco has made with its Kirkland Signature wines. It is a big disappointment that Costco does not allow each of it' stores access to all of their wines. We have only access to a few of these. It would be nice if we could order wines to be delivered for payment and pickup at their store.